Among all the brides in the world, the ones who choose to celebrate their wedding event following the most their tradition and customs in this regard are the Chinese brides. They are known to wear not only a single dress but several of them and each one of these gowns comes with different Chinese wedding gold jewelry. For the morning part of the wedding, when the future hubby collects her to attend the ceremony, she will wear a traditional hong gua – a long skirt and a gold and red jacket embroidered with a phoenix and dragon. This attire will be accessorized with heavy jewelry made of gold, a set bought by her parents. This jewelry is in the format of a solid gold bracelet having representations of a dragon and phoenix, these figures symbolizing the empress and the emperor – the wedding couple of the day. Other family members will offer Chinese wedding gold jewelry in the format of gold rings, pendants and earrings. This heavy jewelry most of the times is put aside after this day, as there are not too many opportunities of wearing these pieces on other occasions. Some of the brides keep them as heirloom for the future generations, while others attempt to sell them when the times are tight, financially speaking. 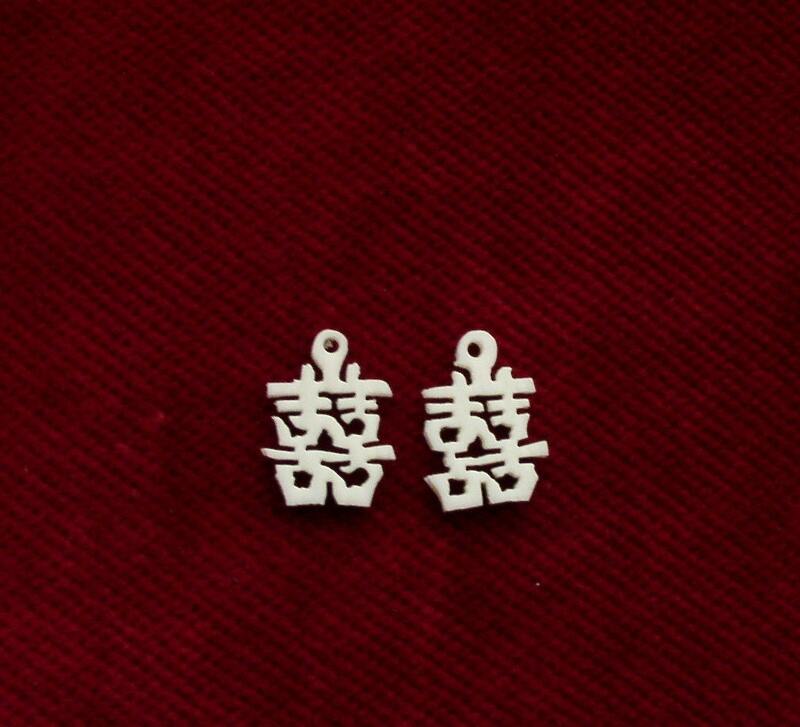 Related to the materials that Chinese jewelers use we have to mention that not only gold is favored, but also platinum, white gold and diamonds. Apart from these, jade plays an important part as it is always included as a stone in the Chinese wedding gold jewelry aside from choices of more expensive diamonds. Modern Chinese jewelers are aware of the trends that many Chinese brides adopt when it comes to celebrating their weddings wearing the western style of engagement rings next to the matching wedding rings. Diamond Industry managed to extend their creations within Chinese jewelry stores offering Chinese brides not only the traditional Chinese wedding gold jewelry, but also the contemporary style of the western bridal jewelry.